The tablescape at any event can be the main focal point for guests to gather around. Use this component to your advantage and give attendees something to talk about! With spring and summer quickly approaching, maximize on bright colors and fresh florals that are associated with these blooming seasons. Utilize them in your arrangements and garlands to create “instagrammable” moments and unforgettable memories. Read on below to find out some of our favorite tablescape color combinations and overall design ideas. By using colors in your tablescape that effectively contrast and complement each other well, you will create an eye-pleasing and beautiful event. For example, yellow and purple are directly across from each other on the color wheel. 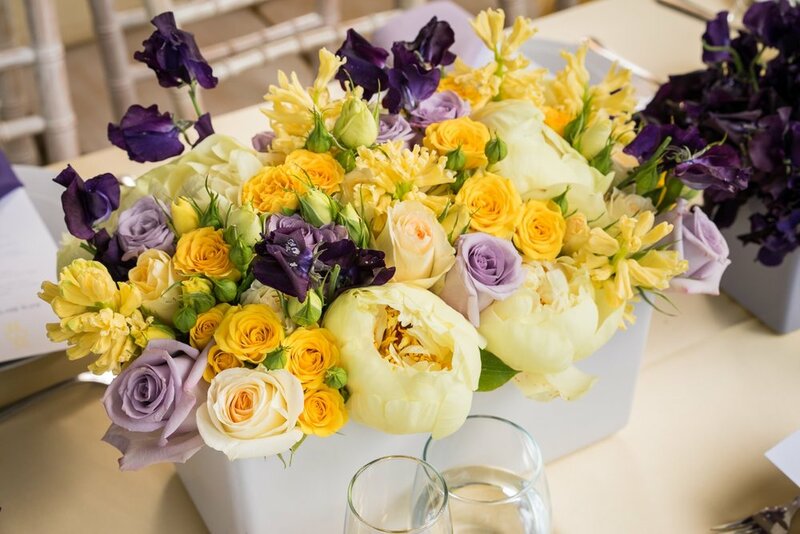 By using the two together, your eyes are drawn to where the electrifying purple pops against the soft yellows. The contrast is bright and commands attention. Additionally, feel free to use varying hues of your colors. Different purples used in the same tablescape add variety and animation to the design. It adds a heightened element of sophistication. 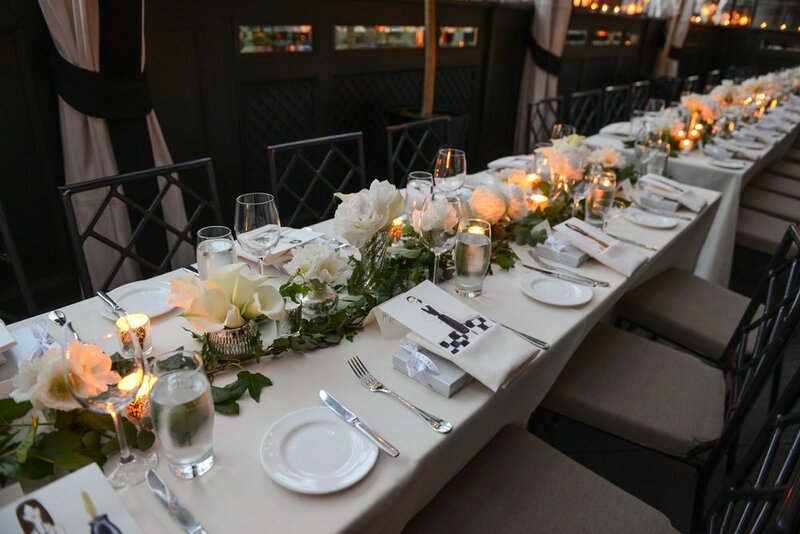 Coordinating your tablescape with the rest of your event design is essential, as well. 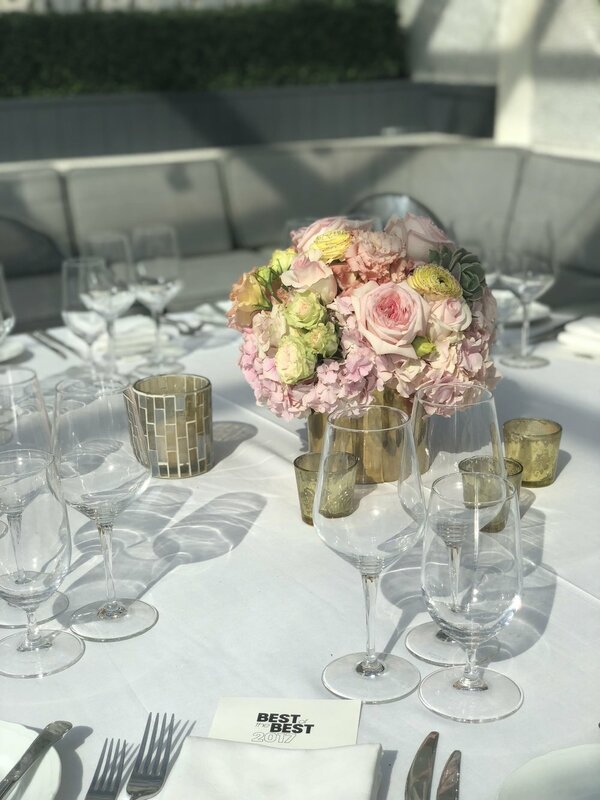 When the flowers in your other table arrangements match the flowers used in your tablescape, there is a more cohesive atmosphere overall. A more simplistic and minimalistic tablescape can be just as effective and striking as a brighter one. 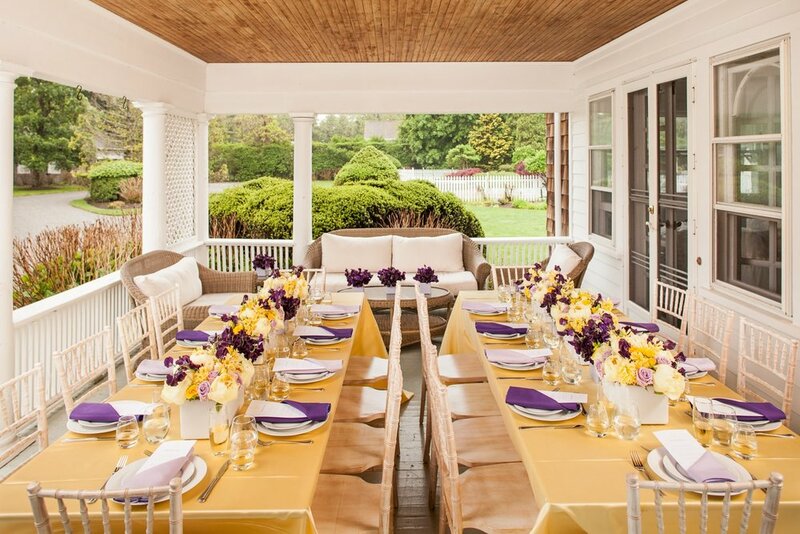 Focus the majority of your tablescape design being one solid, subdued color, such as white. Then add in minor pops of color with your centerpieces to turn them into statement pieces, as well. Add in fun accents, such as succulents, to draw even more attention. This will make the arrangements really pop against the table. If you want to add extra elements to your tablescape, use pieces such as gold-flecked mercury votives for candles. 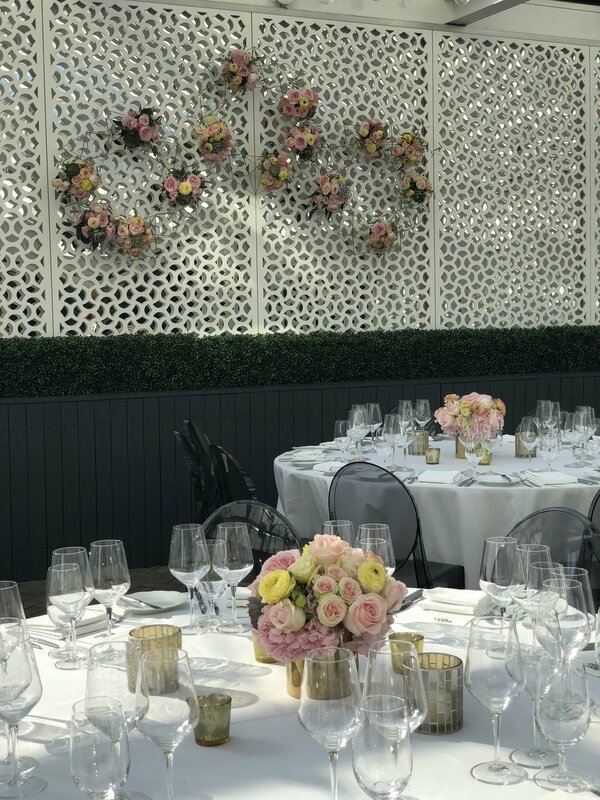 Coordinate your centerpieces with other aspects of your overall event design, such as a hanging installation, by using the same colors and accents in both. 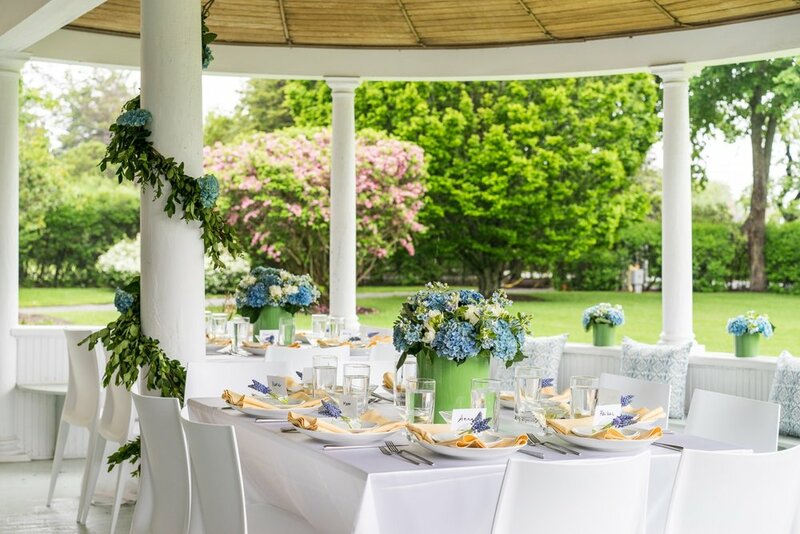 Opt for a more earthy, natural tone with your tablescape by using blues, whites and greens as your main color scheme. Incorporate those colors in the centerpieces, the napkins, the namecards, and the rest of the elements of your event design such as garlands or statement pieces. Elevate your name card display by using a vase that can hold two or three stems of fresh florals and a name card at the same time. The more cohesive your event design is, the more awed your guests will be. Meticulous detail is key! Going classic with your tablescape is always in style. 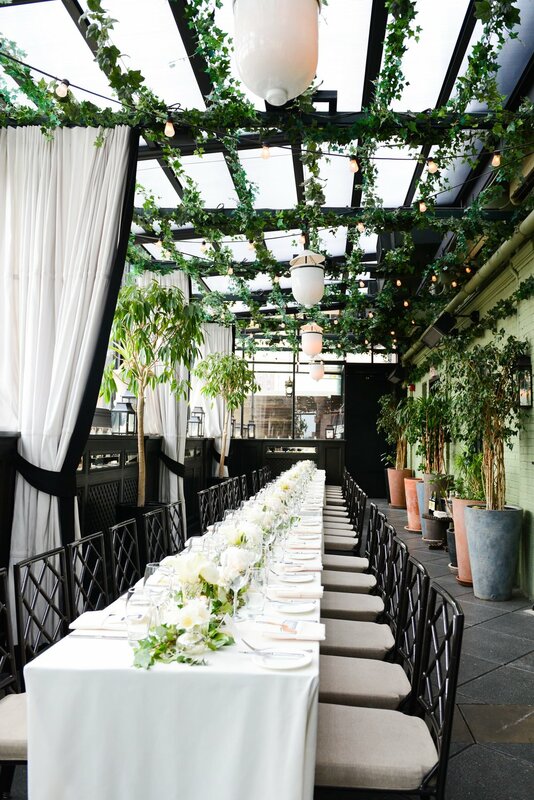 A white and green mixed garland cascading down the center of your table is a simple design that is elegant and chic. It works especially well in an environment that is already lush with greenery and lively elements. Guests will feel transported to a mystical oasis that they will not want to leave. Add candles in speckled gold mercury votives to add depth and dimension to your design. The lit candles will add a romantic vibe to an intimate evening dinner. If you’re looking for a tablescape that is compelling and makes a statement, go for a monochromatic scheme with a vibrant color, such as red. Arrange your centerpieces in tall, impactful vases to make an even bigger presentation. 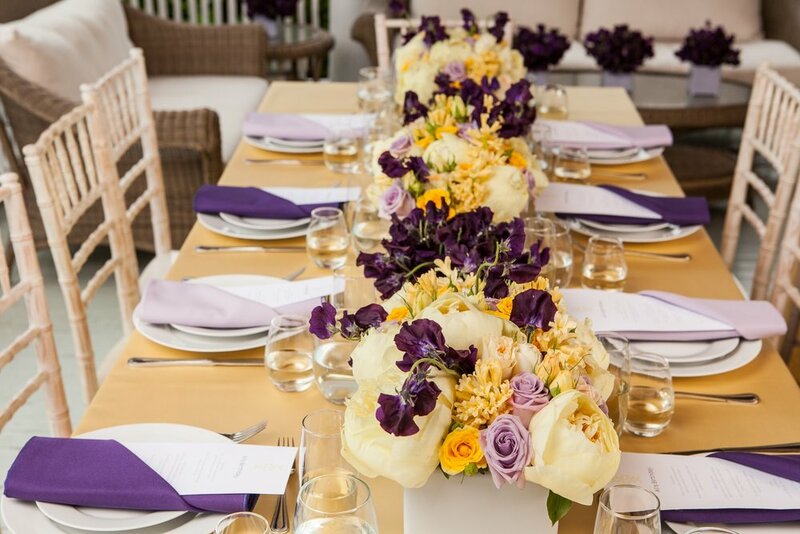 While creating a monochromatic tablescape, incorporate different types of florals that all share the same color. With that technique, you combine variety and dimension with unity and cohesiveness. 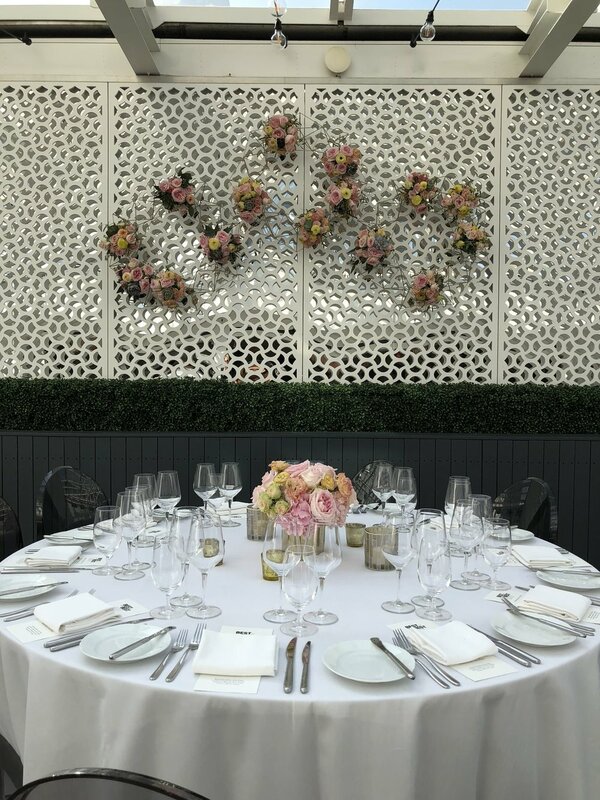 The details within the arrangements are what can make an event even more “instagrammable.” Your guests will surely appreciate the elevated attention to design. With tablescape designs, the possibilities are unlimited. You can go for a bold, vibrant red in a monochromatic scheme. 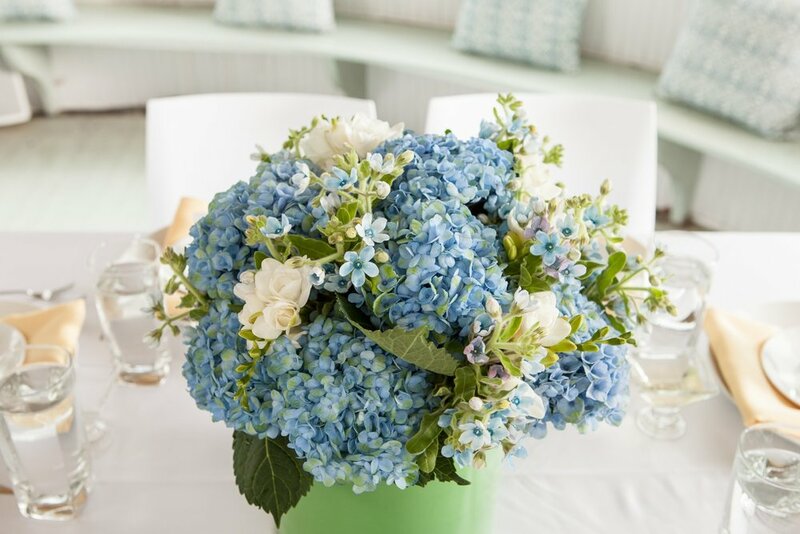 On the other hand, you can go with simpler, more neutral green and blue arrangements for your tablescape. In either case, maximize opportunity with this design element. Make an impact with a table runner garland or keep it classic by using spring whites with accents of color. With endless options, you have the capability to create a tablescape that represents your brand, personality, or even just the theme of your event. The options are immeasurable, and so are the memories that guests will create while seated around this essential design element. B Floral's Newest Floral Accessories!